Step 2. Place the dried seaweeds and dried mushrooms in a large saucepan cover with the boiled water and leave to soak and infuse for 30 mins. Step 3. 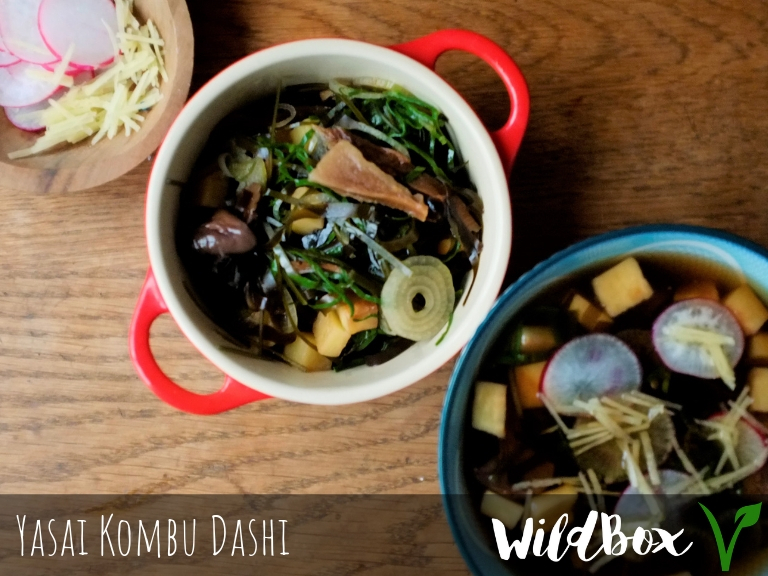 Cook the soba noodles very briefly (45 seconds) in rapidly boiling water, strain and run cold water over them to prevent them sticking together, set aside or divide among 4 deep bowls straight away - the hot broth will reheat them as you serve. Step 4. Dice the celeriac into ½ cm cubes, sautè with the sesame oil in a frying pan on medium heat, season with a pinch of salt and a twist of black pepper, continue until they have softened and are nicely browned all over. Step 5. Slice the lighter part of the leek and the peeled shallot on the round to make fine rings, mince the garlic to a paste, and finely slice the fresh mushrooms again leaving them whole - mainly for presentation purposes. Step 6. Roll sea beet leaves up tightly and slice as finely as you can. Step 7. Slice the radish on a mandolin into thin rounds, and slice the peeled ginger root into fine matchsticks, keep these two ingredients separate to add as garnish just before serving. Step 8. 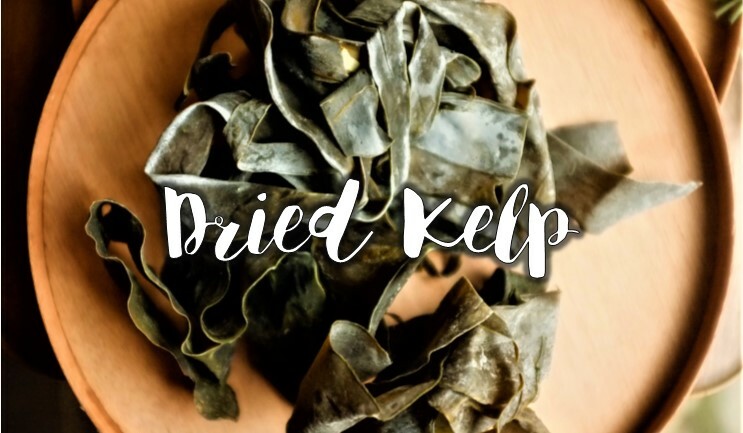 Once the soaked seaweeds and mushrooms have cooled sufficiently take them out of the broth, slice very finely all of the dulse and around ¼ of the kelp as you did the sea beet leaves, and cut the (now rehydrated) mushrooms in half or into bite sized pieces, leaving the smaller ones whole. Step 9. Now you can construct the broth. Re-heat the liquid to just below boiling temperature add in all of the prepared vegetables (apart from the radish and ginger) and heat through for one to two minutes, avoid boiling as it will dilute the flavours and nutrition. Step 10. Season with the tamari, salt and pepper if desired, serve into the bowls over the noodles and finish each with some radish slices, ginger and a little umeboshi vinegar.